VietNamNet Bridge – Many overseas Vietnamese, or Viet Kieu, have given up the plan to buy houses iand settle down here because they cannot meet required procedures. Huynh Dang Hai, a Viet Kieu in France, said soon after the government released the decision allowing Viet Kieu to buy houses in Vietnam, he returned to Vietnam to purchase a villa. However, he could not obtain house ownership certificate because he could not prove he was born in Vietnam. Some relatives and neighbors met the local authority officials and acted as witnesses for Hai. However, this was not enough. “I left Vietnam for France 30 years ago, so I did not keep documents about my antecedents,” he explained. 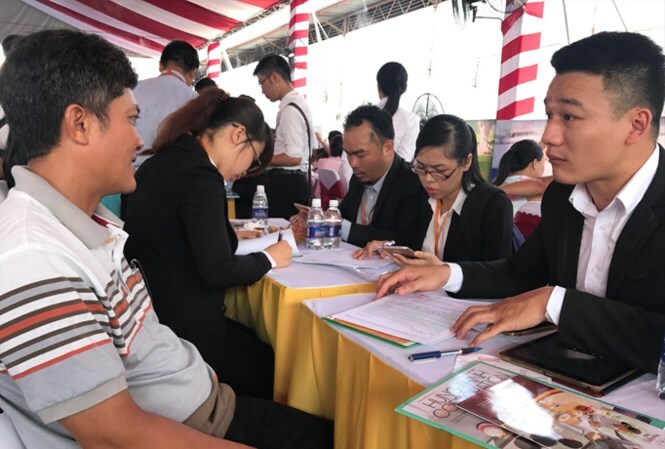 Many overseas Vietnamese, or Viet Kieu, have given up the plan to buy houses iand settle down here because they cannot meet required procedures. Le Thuy Hoa, a Viet Kieu in the US, said she wants to buy a house to settle down in HCMC and make investment there. But she cannot implement the plan. “The consultancy firm said I need to show Vietnamese citizenship. I showed my passport, but this was not accepted,” she said. Pham Thi Dung, a Viet Kieu in Germany, has a land use right certificate for a house in district 9. Before returning to Vietnam, she asked the embassy to return her old passport she had when she was in Vietnam. She has both the new passport (German) and old one (Vietnamese). In Vietnam, she planned to use the number of the new passport on the land use right certificate. However, she was asked to have a certificate certifying that she is the owner of the two passports. She flew back to Germany to get the certificate, but she was told that there was no need to give certification because the two passports were the same. According to Tran Hoa Phuong, deputy chair of the HCMC Committee for Overseas Vietnamese, the biggest problem for Viet Kieu is to have identity confirmation. Under the current laws, the certification of Vietnamese origin is undertaken by three agencies, including the Vietnamese diplomatic agencies in foreign countries, the committee for overseas Vietnamese and provincial/municipal legal departments. Nguyen Tri Hieu, a banking expert, said the number of Viet Kieu who have bought houses in Vietnam remains modest. Buyers cannot borrow money from banks because they cannot prove their private property rights, while Vietnamese banks do not lend to Viet Kieu. How should Vietnam treat overseas remittances?